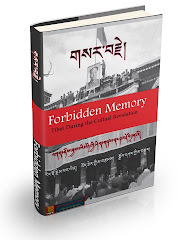 Given that 104 Tibetans in and outside China have died tragically bathed in fire since 2009 and the Chinese government continues, inhumanely, to fabricate preposterous claims and accusations it holds against monks and the neighbours, friends and family of those who self-immolate, Tibetans who have lived through all this have are refusing to celebrate this Losar with joy. 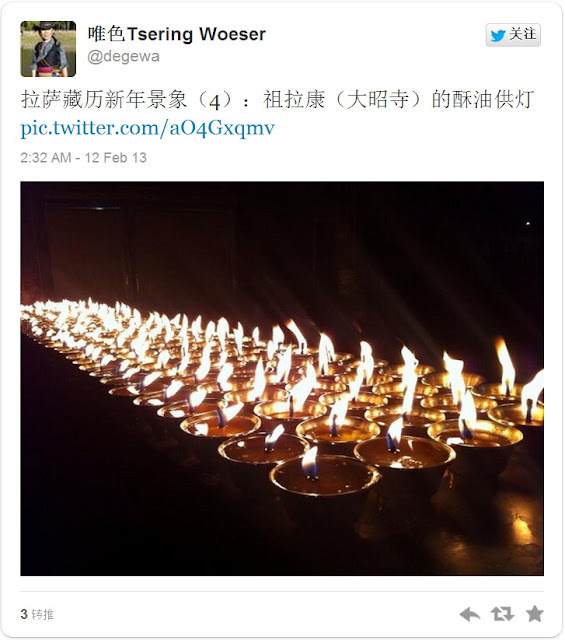 Instead they opt to celebrate in silence - to commemorate those who sacrified themselves and to protest their oppressors. 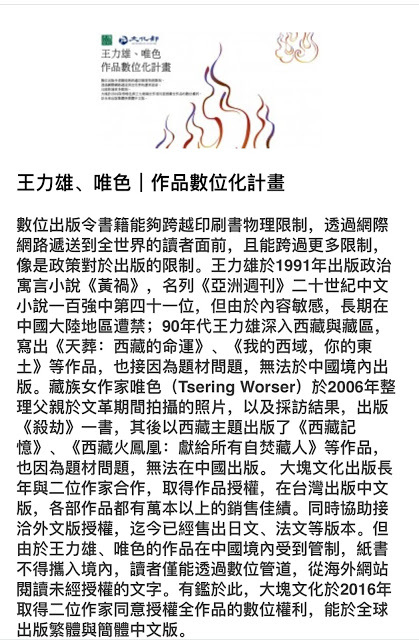 Monday evening, Woeser tweeted a link to a Deutsche Welle Chinese servicereport according to which foreign media are still barred from conducting interviews in the autonomous region. One Tibetan monk interviewed in the article says life continues there in "unparalleled fear". 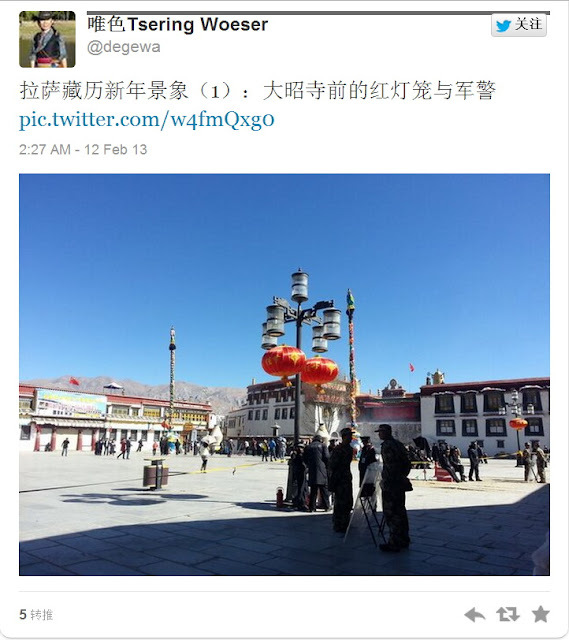 "Tibetan new year in Lhasa: Red lanterns and military police in Jokhang Temple square." 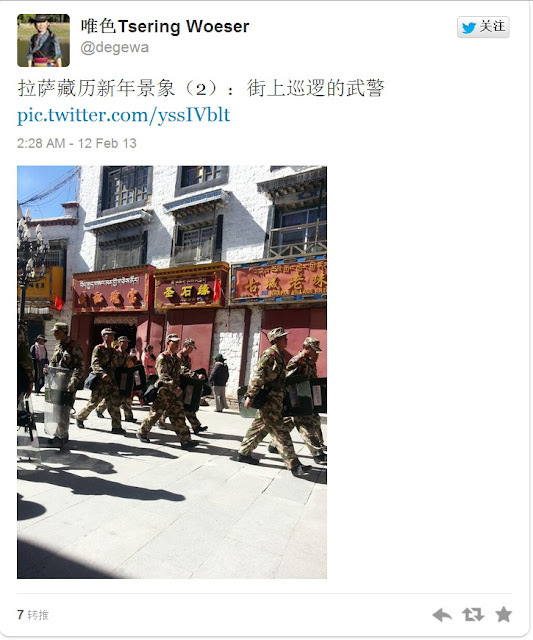 "Tibetan new year in Lhasa: People's Armed Police patrol the streets." 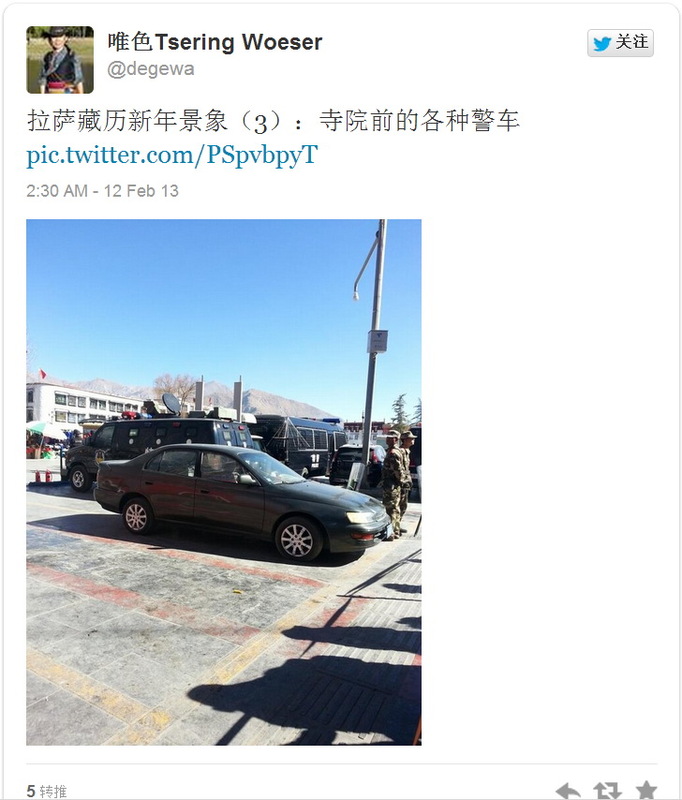 "Tibetan new year in Lhasa: Police vehicles of every sort next to a monastery." "Tibetan new year in Lhasa: Butter candle offerings in Jokhang Temple."